FITS: Vehicles with wheel studs requiring a M12x1.50 thread and wheels that take a conical 60 degree seat with a 19mm hex. 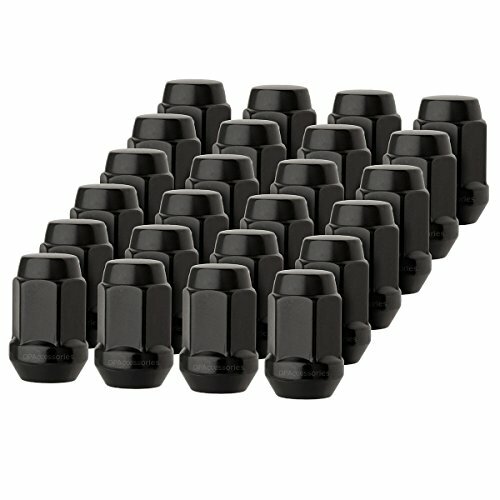 INCLUDES: 24 Black Closed End Bulge Acorn Lug Nuts. Shipped in our signature premium packaging.